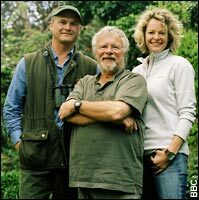 You are here: Home / Nature / Springwatch is coming to the Dyfi Valley! Springwatch is coming to the Dyfi Valley! The Springwatch team has chosen Ynys -hir RSPB reserve as its first ever Welsh base. Starting at the end of May the new season of Springwatch will feature much of the fantastic wildlife that is to be found here in the Dyfi Valley. Ospreys, lapwings, redshanks and otters are all regular visitors to the reserve and surrounding lowlands. This is an exciting time for the Dyfi valley and Ynys-hir particularly. Our holiday accommodation is only twenty minutes away from the reserve, which makes us a good base to explore this area.